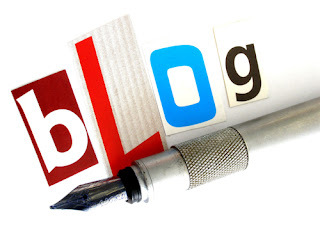 You do not have to have images on your blog, but it is a shame if you do not. They help to break up the text and are good communication devices. Some people feel that images lower the quality of the blog. They feel that because books do not have images--that blogs are somehow lesser animals if they do have pictures. The fact is however that blogs are lower down on the pecking order. People will pay for books, but are very unlikely to pay for blogs. People will read and re-read books from cover to cover; whereas most people will skim read a blog. You may feel that your work is your magnum opus and does not need images, but even if it rivals the dead sea scrolls in it content--more people will read it if you have images on it. Here are a few more reasons why you should add images onto it. 1. Explains Better than Text. The old saying, “A picture can say a thousand words” is actually literally true. Some things may require a lot of words to explain and describe--where an image could do the same job in seconds. For example, even the bare-bones description of an object can take up a portion of your word count, which could be removed if you were to put in a picture. A picture may show the size, color, texture and even weight of an object. 2. They Add a Story. If you have a narrative within your text, an image can add something to that narrative. It can help to add an emotion, it can create an atmosphere, or it can even clear up any incongruities that have sprung up within the text of the blog post. 3. Emotional Connection with Blog. This may not seem like a true fact, but if you think back to all of the charity appeal advertisements on the Internet, you will recall that most of them use a sad (emotion) image to back up their appeal. Pictures are able to muster emotions in most people. Some texts are biased in one direction or another. Many times this bias is quite shallow/thin, and it is hard to determine how the blog post really feels about an issue or event. An image can clear up this confusion or doubt, in order to reveal the blog posts true meaning. 5. Shows the feeling of Author. Subtle hints and sarcasm are rife in blog posts, because blog posts tend to be more personal than online articles. A picture may help to demonstrate how the blogger really feels, even if the blogger is not making it absolutely clear within the text. 6. They're Cute, Funny, Interesting. Most viral images will fall into one of these three categories. There is no reason why a blog post may enjoy the perks of being virally shared around thanks to its images. 7. Help to Break up Text in Pleasing Way. Breaking up a blog post into more easily readable chunks is the best way to ensure that your blog post is read (at least most of it). Breaking it up with images is a nice way of maintaining the user’s interest. 8. Make Blog Visually Pleasing. The overall appearance of a blog can be improved with images. Too many background graphics may make the blog post hard to read, but single images in square and rectangles may be inserted into the blog so that it is very pleasing to the eye.